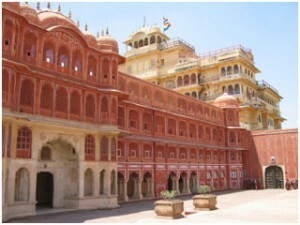 Built in the late 16th century, with mighty walls to protect from invasion, the exterior of this important fort looks jagged and harsh but the interior is sophisticated and elegant, with ornamentation influenced by both Hindu and Muslim lifestyle. Check out the amazing paintings of hunting scenes, which are said to characterize the Rajputs: daring, radical and decadent. Adding to the magnificence of this amazing building, you’ll find intricate carvings everywhere, and the mirror work will have you captivated. Maharaja Ram Singh was a passionate photographer in the 1860s that set up his own studio and darkroom in the City palace in the 1860s. There is a wonderful collection of old cameras and photos still on display. These include women of the Royal family, which normally no aristocratic Indian lady of the time would allow herself to be photographed. 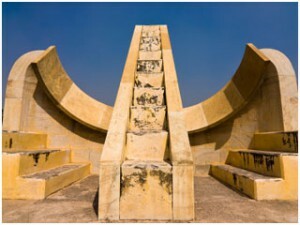 Wholly built with stone and marble and the largest stone observatory in the world, Jantar Mantar is one of the five astronomical observatories built by Maharaja Jai Singh. The people were interested greatly in astronomy, so you’ll find a noteworthy collection of architectural astronomical instruments for measuring time, predicting eclipses, as well as the lining up of planets. 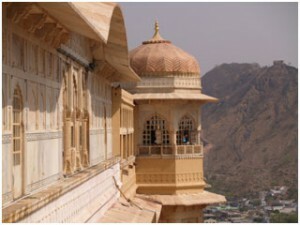 Check out the sundial, which is said to tell accurate time (within two seconds of local Jaipur time). Because women were forbidden to be seen in public, this “Palace of Winds” was built in 1799. Considered a five-story veil or sorts, the royal women could stand on one of the screened balconies and watch the crowds and street life below. You can choose to go inside or look at all the balconies from across the courtyard. 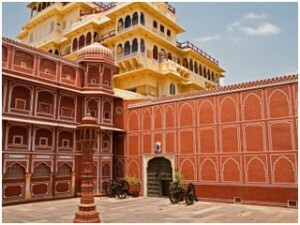 You’ll find an awe-inspiring complex of buildings and gardens at City Palace. When visiting you’ll see a blend of Rajasthani and Mughal architecture, as additions have been made since it was completed in the late 17th century. Inside, visit the city museum, which contains a collection of royal costumes, armor, and battle weapons, such as the two-bladed daggers. The latter points out how militant the Rajputs were. You’ll also see the collection of illustrated manuscripts depicting the life of the Rajputs, as well as tales of the gods. Before leaving don’t forget to check out the Hall of Private Audience (Diwan-i-Khas) where you’ll find titanic silver vessels, reputed to be the largest in the world. The Majaraja Madho Singh II would take these vessels filled with holy water when traveling. 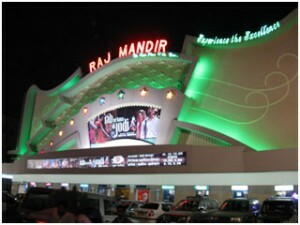 Similar to Grauman’s Chinese Theater in Hollywood, the Raj Mandir Cinema is considered the best in India. 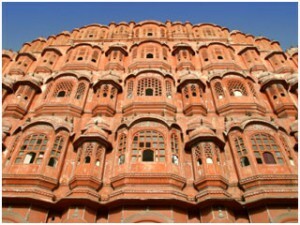 Check out a movie here while in Jaipur. You’ll see chandeliers set into domes in the foyer ceiling. And inside the auditorium, rather than stairs, a large ramp takes patrons up to the balcony area. The decoration inside is quite beautiful, with indirect lighting that changes colors, hidden behind and underneath a frond fern leaf-like plaster trough that has openings all over the ceiling and walls.